After him backing out of a verbal commitment to Illinois State and now visiting and taking offers from Valparaiso & Southern Illinois, the scumbag can go to Minnesota for all I care. It's his fault another school offered him. It's not like he accepted. He simply said thank you. Most players say thank you on Twitter for each offer like Payton has. Calling a high school student-athlete a scumbag for being gracious. FWIW, the reason kids publicize their offers is to drum up additional interest. I know it's frustrating Chris committed and then didn't. I'm frustrated by it too. But to call him a scumbag for getting offers from Valpo and SIU is beyond ridiculous. You know how offers work, right? The coach has to offer the player. Let's back off an 18 yr old kid from our own town a little bit, mmmm k? That something better being Minnesota Penal? Just the monthly reminder that recruits read this board. I'm sure glad you never changed your mind....about anything....ever. Especially at the young age of what 17 years old? And just to add what others have said already, we are still recruiting Chris. 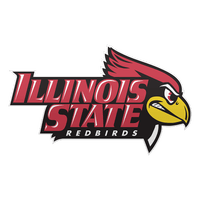 And more importantly Chris is still very interested in Illinois State. I agree. Chris, if you're out there most of us still want you here. i want you so bad i hope july aau is going horribly!!! Chris didn't sign an LOI. Those guys did. HUGE difference IMO. Since you guys don’t want to let this go, I guess we will just keep it going. If I tell you I will come over and cut your grass for you, I really don’t have to because I didn’t sign an agreement with you. A man’s word use to be as good as his signature. Now a man’s word means nothing. You can also add Marcus Arnold to the above list of names.